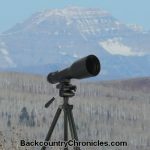 Below are outdoor gear reviews and buying guides and for hunting, fishing, camping gear and equipment based on our professional and personal knowledge, use and research. What Makes the Best Survival Knife? One common piece of good advice that comes from nearly all survival theme TV shows (i.e., Bear Grylls, Man vs Wild, Dual Survival, Survivorman, etc…) is the need for a good survival knife and my wife used to remind me of that fact after almost every show.